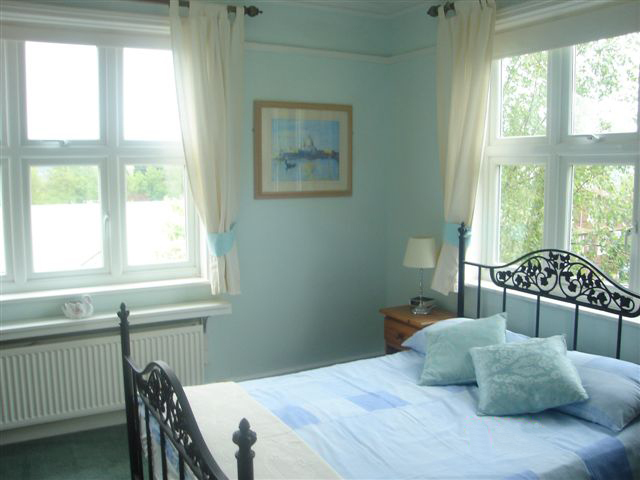 All our rooms are en-suite, double glazed and light and bright. Each room has a hairdryer, iron and ironing board, dvd/tv, free wi-fi and the usual complement of tea, coffee and drinking chocolate. Guests will have their own room and house key and may come and go as they please at all hours ( but please respect sleeping guests if you are very late in) guests are welcome to use the fridge and microwave in the breakfast room at any time. Smoking is permitted anywhere in the garden and there is a covered area for wet weather. 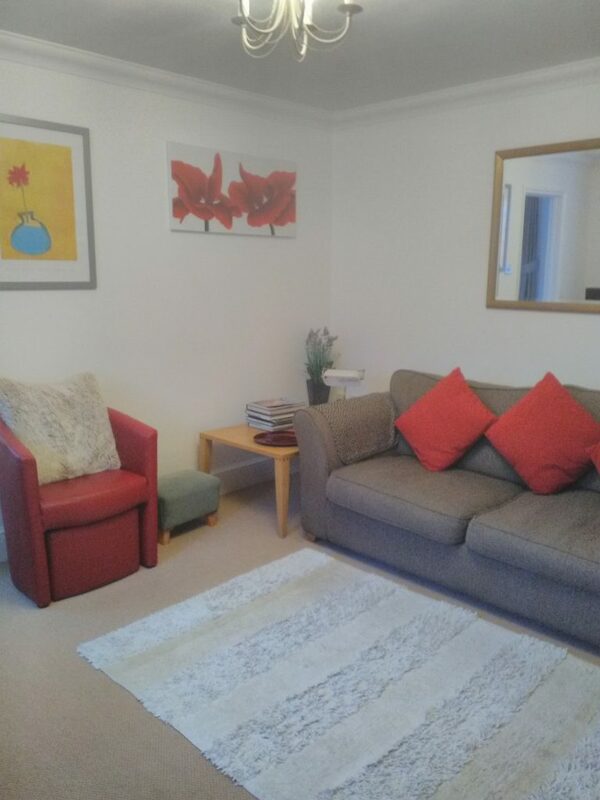 This is a self contained ground floor flat comprising bedroom, bathroom and sitting room with full size double sofa bed and a small kitchen area with fridge, gas hob and microwave. 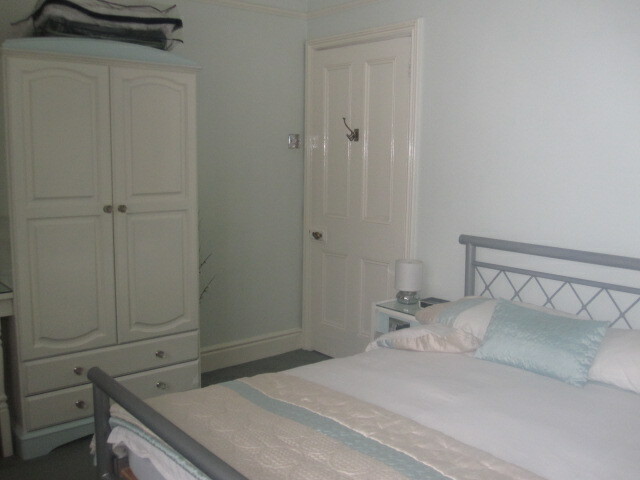 Here are examples of our double room comprising double bed, en-suite, TV/dvd, tea, coffee, chocolate, iron and ironing board, hairdryer and free wi-fi. 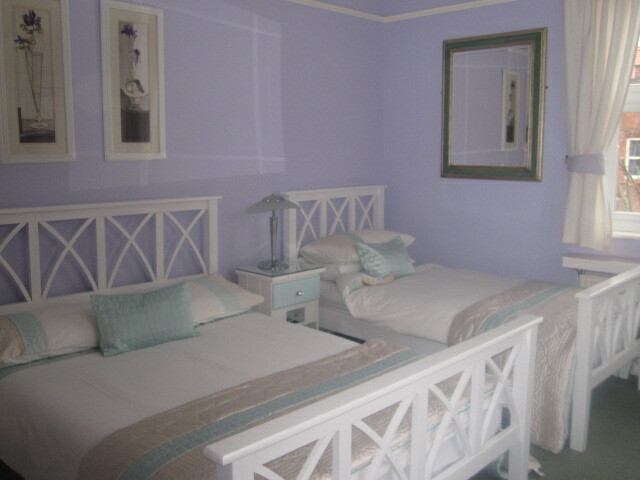 Heres an example of our twin room comprising double bed and one single bed, en-suite, TV/dvd, tea, coffee, chocolate, iron and ironing board, hairdryer and free wi-fi.